Owning a Ford Commercial Vehicle can assure the success of almost any business, but to keep your business rolling it is important to keep fleet properly maintained. Regular vehicle servicing and maintenance is proven to reduce operating costs of commercial vehicles and minimize unscheduled disruptions to your operations when vehicles are off the road. If the cost of a preventive maintenance program worries you, consider the cost of not having one. According to statistics, well maintained vehicles have lower operating costs than those that are not adequately maintained and that’s not just not in terms of repairs. Commercial vehicles that are regularly repaired and maintained can save on your business fuel expenses – which are estimated to account for 30 percent of total operational running costs. Furthermore, an unsafe vehicle that is determined to create unreasonable risk or harm to a driver or others on the road – such as an accident because of bad brakes – could get the owner/manager prosecuted for liability or a negligent act. 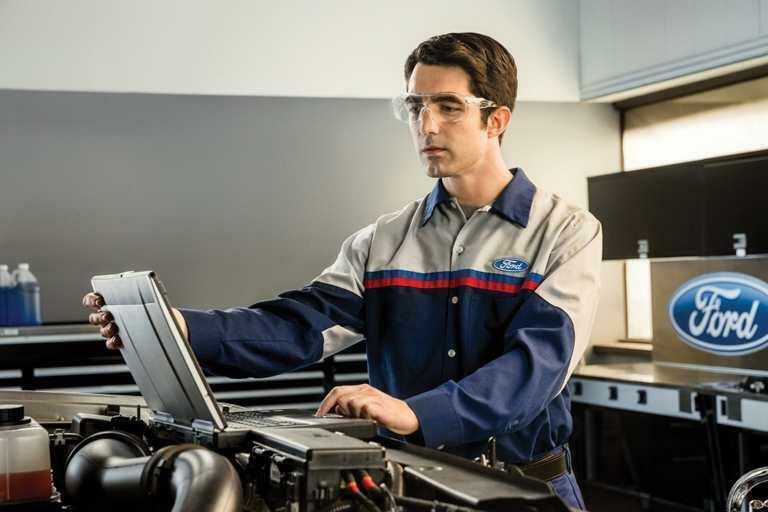 In order to avoid any of these costly and scary issues it’s important to ensure your vehicles are as safe as possible and South Bay Ford’s Commercial Service Center is here to help you to develop the perfect maintenance plan to keep your business safe and productive. Before developing a preventive maintenance plan, it is important to have a member of our Fleet Service Department speak with each driver to find out if there are any problems that they noticed while on the road. This allows the mechanic to pinpoint any issues that may not be immediately visible. Although no business owner is crazy about taking their Ford P500 or Transit Connect vans off the road, the best reason to do so is you will outperform your competition. As a business, being able to deliver consistent, on-time deliveries to your customers is vital. Poorly maintained vehicles can be unpredictable and that’s not good for business. Breakdown costs are only the tip of the iceberg if the result in an unhappy customer. Having vehicles that can deliver on-time consistently, thanks to ongoing routine maintenance will greatly improve satisfaction among your customers and have you leaving your competition sitting on the side of the road.